Lung tissue. 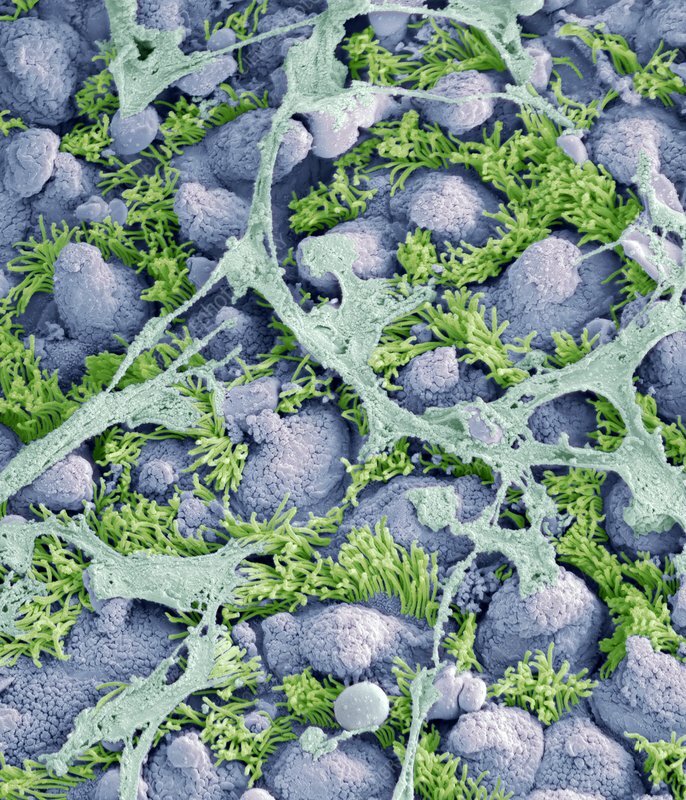 Coloured scanning electron micrograph (SEM) of the inner surface of a bronchiole (the tiny airways within the lung). The epithelium consists of ciliated (hair-covered) cells (bright green), and non-ciliated Clara cells (purple) that secrete mucus (dull green). Particles entering the lung together with the air are immobilized by the mucus and transported by the cilia out of the lung. Magnification: x1600 when printed 10 centimetres wide.